Facebook caught a great deal of flak when it introduced auto-play videos into the News Feed late last year, but they appear to be working for brands, as Adobe revealed in its Q1 2014 Social Intelligence Report that engagement with those videos was up 58 percent in the first quarter of 2014 compared with the fourth quarter of 2013, and up 25 percent year-over-year. The first five or 10 seconds of your video really have to capture that person. The Adobe Social Intelligence Report gathers data from some 260 billion Facebook ad impressions, 226 billion Facebook post impressions, 17 billion referred visits from social networking sites, and 7 billion brand post interactions, including comments, likes, and shares, with data on paid social derived from Adobe Marketing Cloud data. Adobe also found that Facebook was the only social network to see its revenue per visit rise in the first quarter of 2014 compared with the previous quarter, while Pinterest, Twitter, and Tumblr all headed in the other direction. Facebook’s RPV only rose 2 percent, but Twitter and Tumblr saw plunges of 23 percent and 36 percent, respectively, although Martin cautioned that the fourth quarter traditionally provides seasonal jumps due to holiday shopping. Another interesting finding by Adobe involved Fridays, as it found that one-quarter of Facebook video plays occur on that day of the week, along with 15.7 percent of post impressions. Social is referring more traffic than ever to media and entertainment sites. Look to incorporate more video and image-related posts to capitalize on the increased social traffic. Click-through rates were up 20 percent in the first quarter of 2014 compared with the fourth quarter of 2013, and a whopping 160 percent versus the year-ago quarter. Ad impressions rose 41 percent quarter-over-quarter and 40 percent year-over-year. Ad clicks on Facebook were up 70 percent versus the first quarter of 2013 and 48 percent compared with the previous quarter. 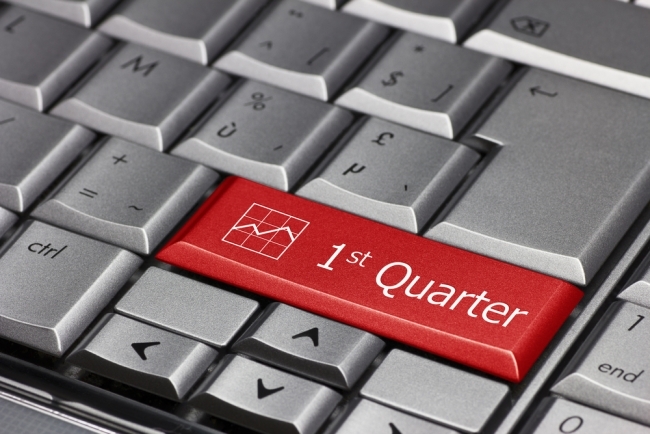 Cost per click fell 2 percent versus the first quarter of 2013 and 11 percent compared with the prior period. Engagement with brand post was up 50 percent compared with the first quarter of 2013. Brand post impressions rose 160 percent year-over-year and 40 percent versus the fourth quarter of 2013. Brand posts with embedded videos saw engagement gains of 58 percent quarter-over-quarter and 25 percent year-over-year. Video plays were up a whopping 785 percent year-over-year, due to Facebook’s introduction of auto-play videos, and 134 percent versus the previous quarter. Brand posts with links saw engagement rise 167 percent quarter-over-quarter and 77 percent compared with the year-ago quarter. After an expensive holiday season, CPCs are back down. While costs are low and CTRs continue to grow, brands should stick with Facebook ads as the social network continues to incorporate more mobile-specific ad serving and targeting. More impressions mean more competition. As marketers expand Facebook offerings, look for ways to implement more targeted ads where there is more open space to capitalize on an engaged audience. Facebook continues to make changes that are benefiting marketers, even though it may cost them more. Social media growth came as a surprise given the strong holiday quarter and seasonal slowdown expected in the first quarter. Marketers are learning how to best reach their audiences across different social media channels, and companies like Facebook continue to advance functionalities like auto-play of videos, which help further engage their users.